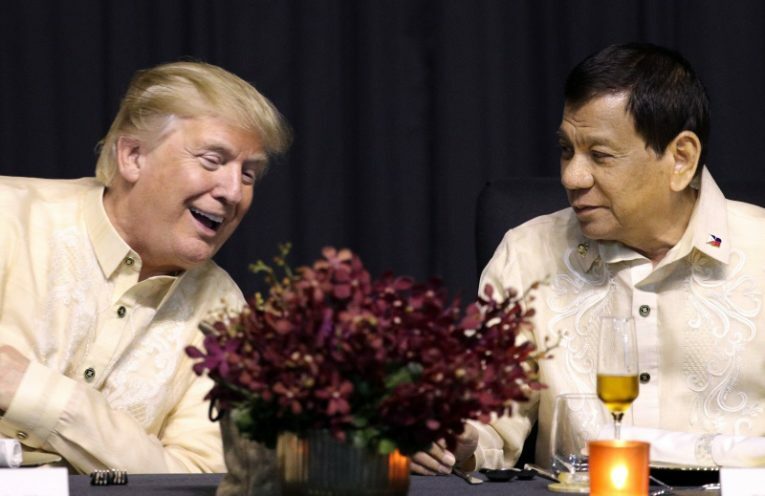 Donald Trump has wrapped up his 12-day tour of Asia in the Philippines where he met with his counterpart Rodrigo Duterte. Duterte has launched a bloody war on drugs in the Philippines that has empowered police and vigilantes to kill thousands of people suspected of drug use or sales. On our show today we’ll turn to Sanho Tree of the Institute for Policy Studies about the apparent love affair between Trump and Duterte. Then, we’ll spend the rest of the hour with award winning journalist Pratap Chatterjee and best-selling political cartoonist Khalil Bendib. Together the two of them have written a new graphic novel-style book called Verax: The True History of Whistleblowers, Drone Warfare, and Mass Surveillance.